Plan Your Trip to Providence! 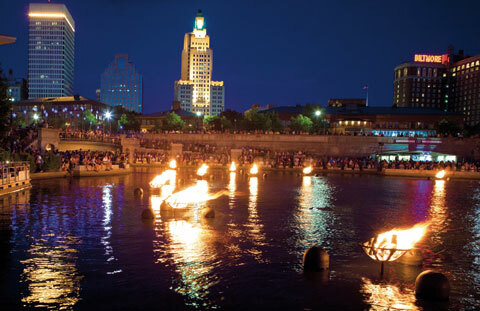 WaterFire is a very popular public event where you will join thousands of Rhode Island residents and out of town visitors who to come to downtown Providence to enjoy an evening out with art. Like all large public events, it makes sense to plan and prepare for your visit, so we want to give you a few handy tips and reminders about how you can have the most enjoyable and safest experience at WaterFire Providence. WaterFire can get very crowded, especially at peak times just before and after lighting; therefore, we strongly recommend that you consider this as you plan your trip. WaterFire Providence takes place in a park and other public spaces over a variety of terrains including cobblestones pathways. We highly recommend that you wear comfortable, walkable shoes. 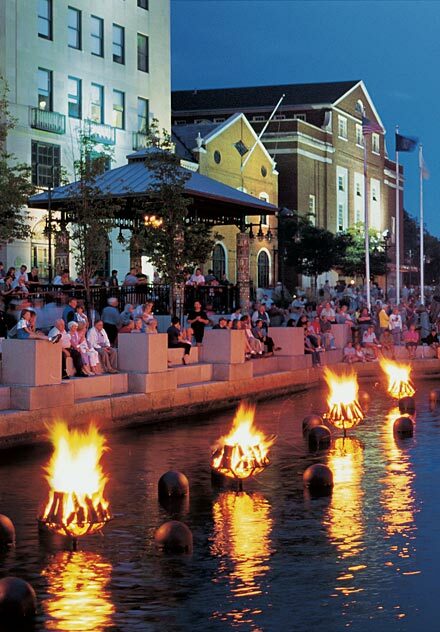 Read more about safely planning your visit to WaterFire. WaterFire is an experience that embraces all of the senses and all of the city! Come to enjoy yourself, to relax, and to discover a remarkable new urban experience in a fascinating modern city. WaterFire is presented for free, but we need your donations to keep the fires burning! Dress up, dress casual, or dress festively. WaterFire is a celebration of community and beauty. Everyone is welcome, and we encourage you to become a part of the event. There is an ever-changing, eclectic music program all along the rivers. Fire marshal regulations do not permit folding chairs to be set up on any of the riverwalks to assure safe passage for all of our visitors. WaterFire is an event to be explored and savored on foot as you wander around to discover its many surprises, leave your chairs in the car and start exploring all that our event has to offer.